PRONTO’s training model is designed to be flexible, adaptable, and complimentary to other training initiatives in the places we work. This flexibility, combined with a solid base in adult learning theory, evidence-based maternal and neonatal care, and theories of behavioral change, create the innovative and highly effective training methodology used by PRONTO International to modify provider practice and improve outcomes during birth. Partnership & Collaboration: PRONTO collaborates with partner organizations worldwide to develop simulation and team training programs relevant to each settings’ specific needs. Our team of master trainers are qualified simulation facilitators who use in-situ simulation in conjunction with video guided debriefing to improve quality of care provided by teams in their facilities. 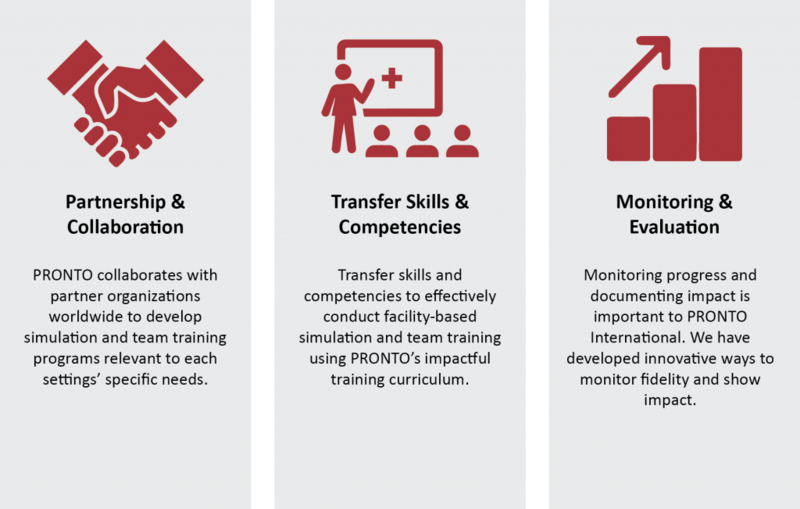 Transfer of Skills and Competencies: Transfer skills and competencies to effectively conduct facility-based simulation and team training using PRONTO’s impactful training curriculum. Our training curriculum is based on adult learning and simulation theory. All clinical elements of the program use the latest evidence and international clinical guidelines. When trainings are implemented in a new country, PRONTO works closely with in-country partners to adapt the training to meet the cultural and clinical needs of the setting. Monitoring & Evaluation: Monitoring progress and documenting impact is important to PRONTO International. We have developed innovative ways to monitor fidelity and show impact. 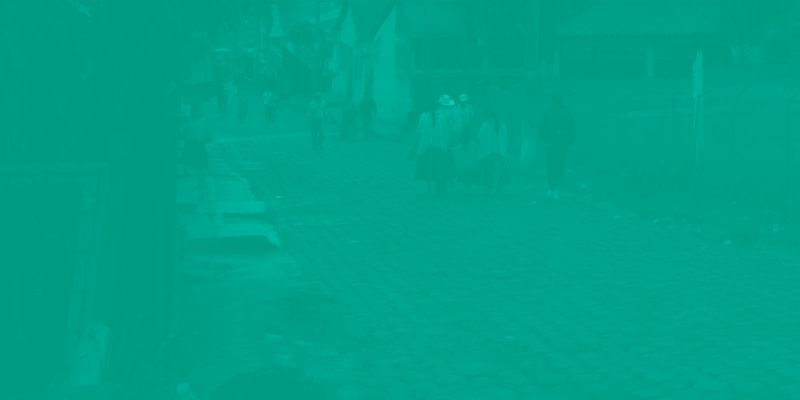 Throughout all program components, PRONTO International emphasizes kind, dignified, and culturally respectful care of women, babies, and care providers.